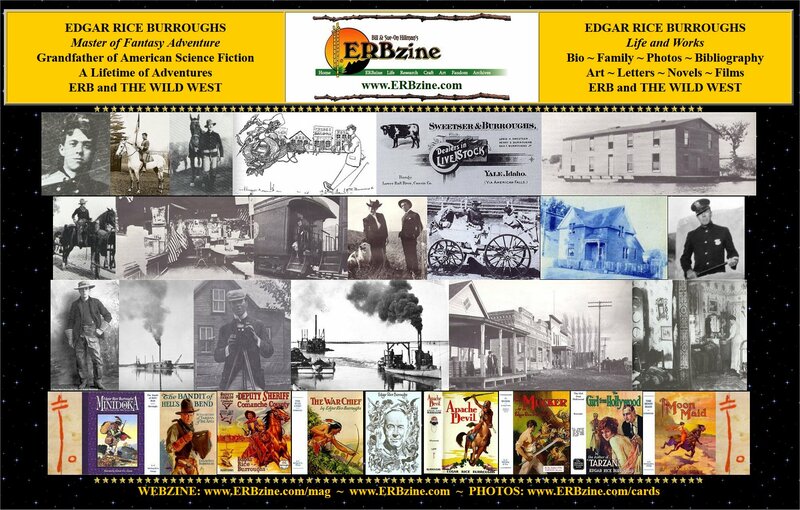 ERB's Non-Series Stories Although Edgar Rice Burroughs is best known as the creator of the classic Tarzan of the Apes, his restless imagination knew no bounds. During a prolific wrting career that began in 1911, Burroughs' pen ranged from the American West to primitive Africa and on to romantic adventure on the moon, the planets and even Beyond The Farthest Star. 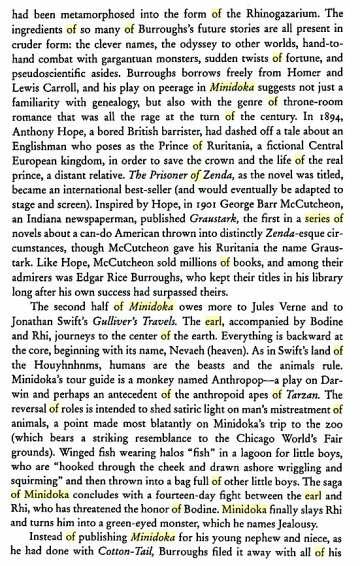 Still it is not at all surprising that the author who created the monumental Tarzan of the Apes should find his other literary efforts overshadowed by one of the most popular fictional characters of all time. 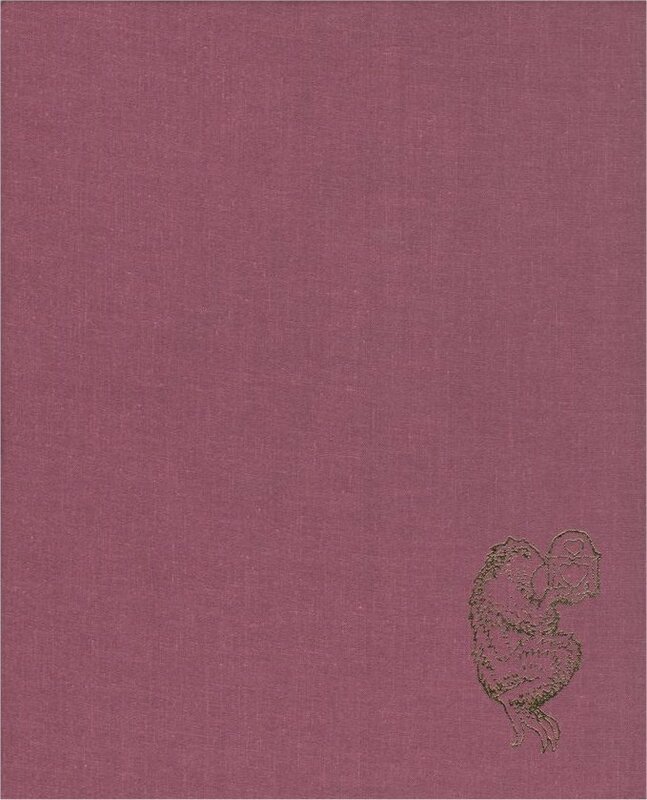 In Beyond Thirty, written in 1915, Burroughs draws a picture of the earth two centureies hence, on the assumption that the United States did not enter the First World War, and that the great conflict ended with the destruction of all European civilizations. Beyond the Farthest Star and Tangor Returns have as their locale the rather earthlike planet Poloda, which with ten companions move in a common orbit around a small star situation far outside the limits of our own Milky Way. The list is endless. 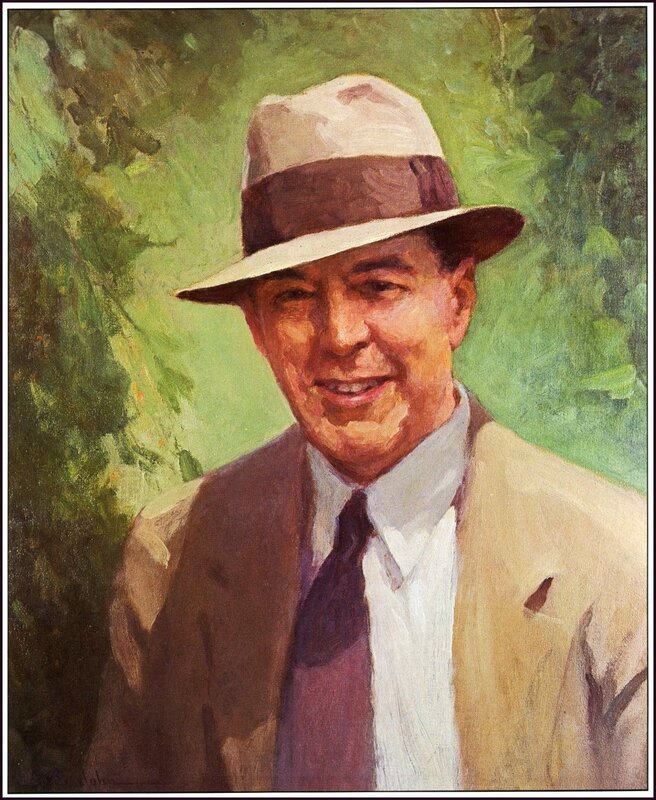 Even after his death in 1950, Edgar Rice Burroughs' hypnotic influence has continued to add to interplanetary geography through the pens of other writers. Indeed, as long as his books await discovery by future generations, one can only wonder about those other, unborn worlds waiting. 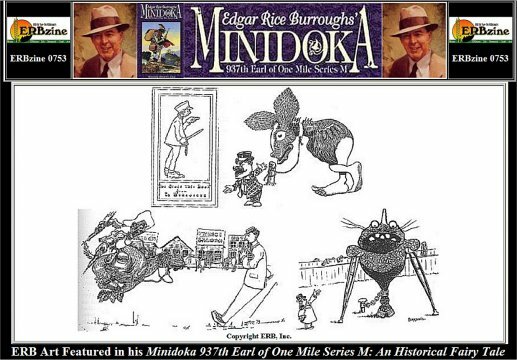 Minidoka is a name of Dakota Sioux origin meaning "a fountain or spring of water". 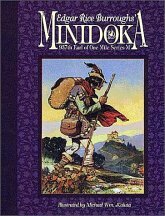 Minidoka is a captivating, humorous, satirical, and highly imaginative fairy story that presages the ERB talent that was to flower ten years later. 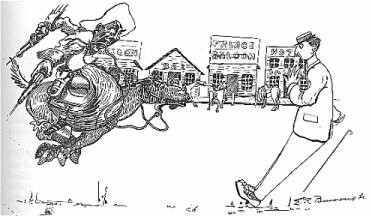 Idaho was the setting for the tale and ERB created two imaginary kingdoms separated by the Raft River and “forever at war.” Burroughs’ facility in concocting names that were unusually rhythmic, colourful, or comical, which was strikingly evident in his later works, both the Tarzan and other worlds series, is noticeable at this early period. 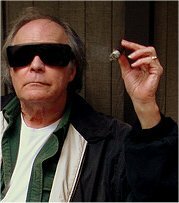 He liked to experiment with odd syllables and combine them to produce strange words that sounded realistic in the bizarre settings he created. He had a keen ear for original phonetic combinations. 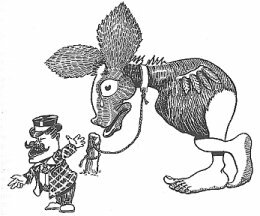 There are shades of Lewis Carroll here, and the style surfaces again in the work of John Lennon, the Monty Python comedy troupe and countless fantasy writers. "Unlike the Lost Adventure manuscript, Minidoka is complete, right down to Edgar Rice Burroughs' corrections of the typewritten pages," asserts editor Peet Janes. "As important as Lost Adventure was, Minidoka is the strongest glimpse yet into the mind of the Master of Adventure, a masterpiece hidden away for almost a century. 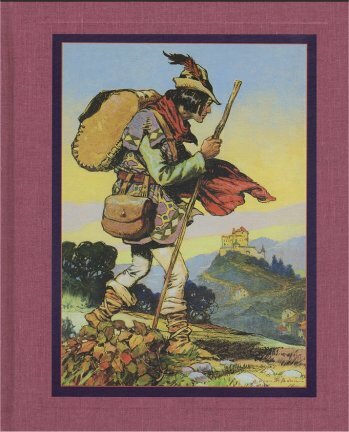 As editor of The Lost Adventure I felt privileged to work with a hidden literary treasure. 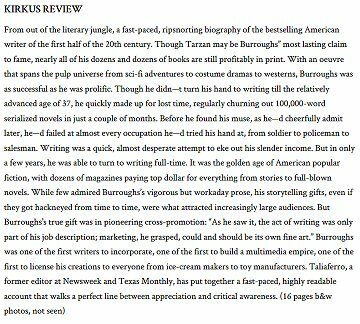 Little did I know that other, finer treasures still lay waiting in the Burroughs archive." "Minidoka follows the pattern of many `Jack' folktales," explains Janes, "but Burroughs puts his singular spin on it, adding social commentary, at times with subtlety, and at times with a sledgehammer. 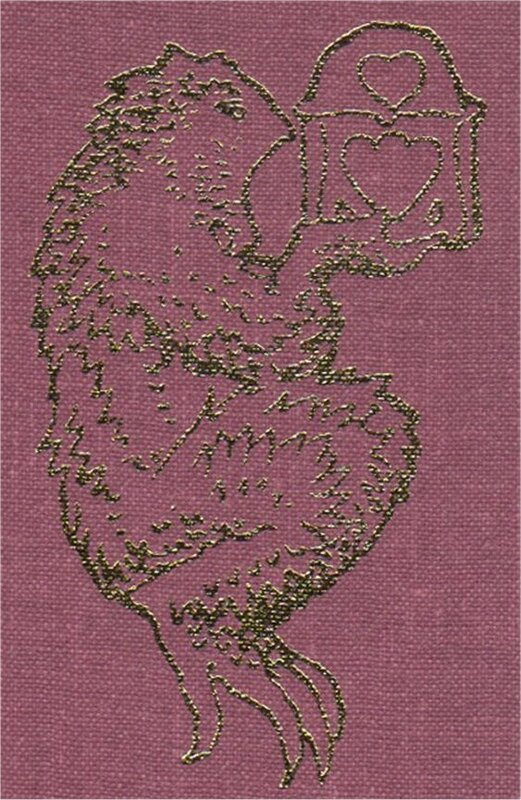 The result is a sprawling fairy tale bright enough to delight younger readers, yet sophisticated enough to entertain adults. 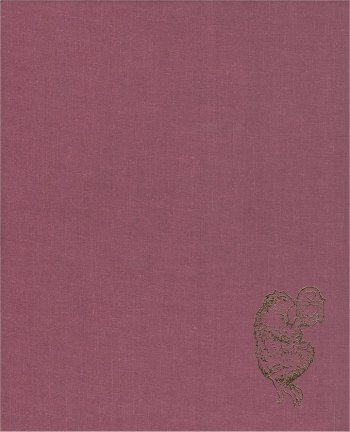 This is something that Burroughs fans and fans of 20th century American literature should not miss." Minidoka County is located in the fertile Snake River Plain of Southern Idaho approximately 160 miles east of Boise, 160 miles northwest of Salt Lake City, Utah and 90 miles west of Pocatello. The county contains approximately four hundred eighty thousand (480,000) acres, of which 42% is in production agriculture. The county has a unique topography and elevation. Its southern portion, which runs along the Snake River, was originally part of the riverbed. Its northern portion runs over a somewhat higher table and is called the North side project. Its extreme northern and eastern boundaries consist of lava flows with large and small areas of arable land. Although the surface structure is varied, there is only 180 feet difference in elevation from the lowest point at the southwest corner, 4180 feet and its highest point in the northeast corner, 4360 feet. The winding path of the Snake River, which crossed the area now known as Minidoka County, was the route of the early pioneers heading west. Minidoka Village, established in 1884, was the first permanent settlement and served as a railroad siding. The Bureau of Reclamation has stated that Minidoka is a Shoshone Indian name meaning “broad-expanse”. In the early 1900’s, government owned land was made available for settlement and ownership by homesteading. Homesteaders were required to file a claim, live on the land for three years and do a limited amount of farming. Around 1912, many homesteaders came to live in the neighborhood of Kimama and Minidoka. However, by 1932 none of the dry land homesteads remained because of a lack of rainfall and other hazards such as frost, wind, weeds and pests. President Theodore Roosevelt signed the Reclamation Act of June 17, 1902 which created the Minidoka Project. The project was established by the Secretary of Interior on April 23, 1904 and work began on the diversion works that year. Contracts were also let for the construction of canals and laterals shortly after. Delivery of water to the land began in 1907. The rush of settlers started in 1904 and increased rapidly for two and a half years. 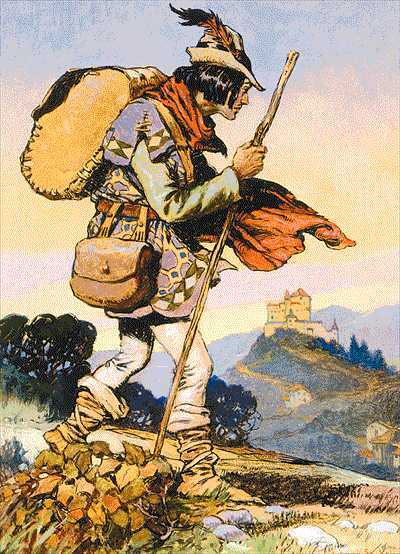 The settlers came form everywhere with the desire to own land and establish a home. However, very few had any experience in irrigation and many mistakes were made by both the settlers and the engineers in charge. 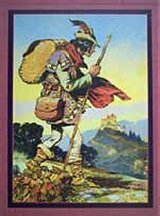 As a result, many failed and left the land, but those who stayed were amply rewarded for their efforts. 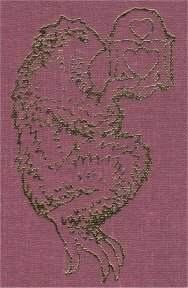 "The amazing thing about Minidoka is the fact that it is kind of an Ur-text or a primitive template from which all of his subsequent stories are drawn. It might just be a line here or a line there, but it all sounds strangely familiar. "There are flying monkeys in Minidoka. When Minidoka, Bodine, and Rhi visit Nevaeh ("heaven" spelled backwards) it is a yawning abyss leading to the center of the Earth. Here they meet Tnias Retep (a reverse Saint Peter) who introduces them to Anthropop, the father of monkeys, (Ape-Adam) who had been in Nevaeh so long that he knew more about it and all the animals there than anyone else. This Adam is now a winged monkey who had worked up to the seventh cube and had earned his angel wings. He acts as a Virgil-guide in this Hell for animal abusers, who are punished by the very animals they were cruel to while on Earth. Fish catch the humans who caught them on Earth and tear the hooks from their cheeks. Hunters are the hunted. Dogs kick half-starved men who return to lick the paw that bruised them. 'Down one great avenue fled the shades of a thousand-thousand-thousand women pursued by the beasts and birds whose furs and feathers had bedecked the women on Earth.' Maybe we aren't so far from Caspak and the Wieroos after all." 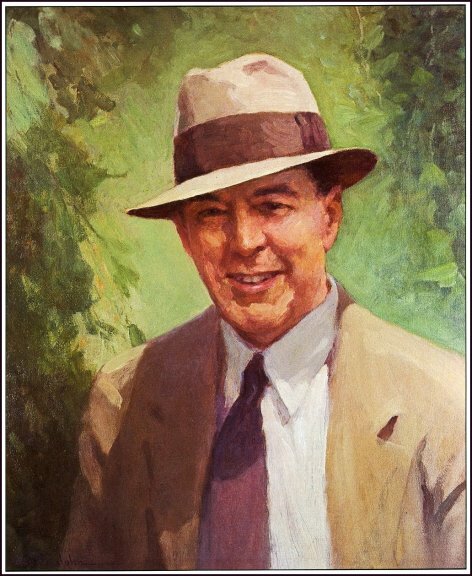 If you're from these parts, you may know that writer Edgar Rice Burroughs forged his inner Tarzan in the turn-of-the-century Magic Valley, punching cows in Cassia County and dredging gold from the Snake River. What you may not have heard is that his first novel was titled “Minidoka.” And even by Tarzan’s standards, it’s a whopper. 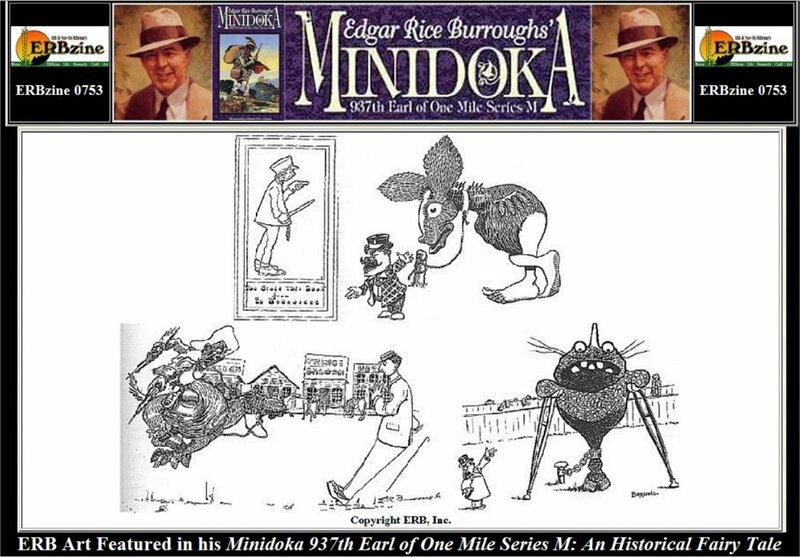 The book was “Minidoka 937th Earl of One Mile — Series M; An Historical Fairy Tale,” which Burroughs wrote when he was 28. 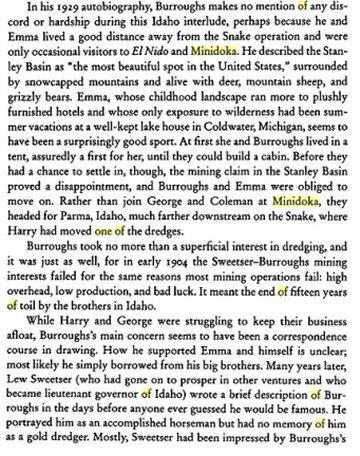 According to Taliaferro, Burroughs typed the first few pages on the back of forms of the Yale Dredging Company, which ran the Snake River gold dredge. The story is set in the Bradydom of Smith and the Connerdome of Bil in the land of Bray Pzvrijhk. 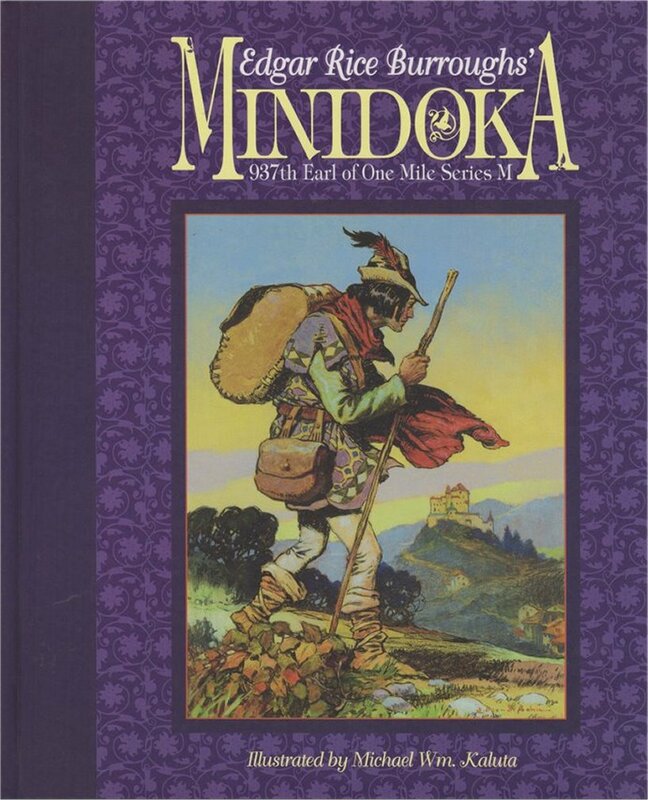 The hero, Minidoka the Earl of One Mile, must battle a prehistoric monster called the Hookie-Dookie, and another creature — the Rhinogazarium — that lives in the Castle in the Air at the edge of the Earth. 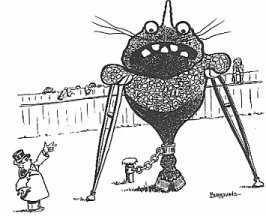 He slays both and rescues the damsel Bodine, whom Hookie-Dookie has transformed into a coyote, and Rhi — a prince who had been changed into the form of the Rhinogazarium. With Bodine and Rhi in tow and guided by a monkey called Anthropop, Minidoka travels to the center of the Earth — a place called Nevaeh — where everything is backwards. Winged fish with halos, for example, angle in a lagoon for little boys, which are hooked through the cheek, reeled in and tossed into a bag. Following their subterranean adventures, Minidoka and Rhi have a falling-out and battle for 14 days. The earl finally kills Rhi and turns him into a green-eyed monster named Jealously. 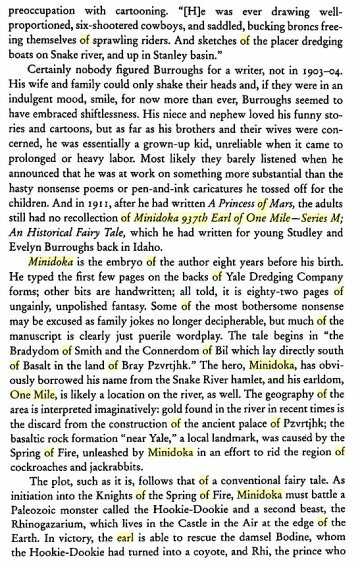 Burroughs never tried to published “Minidoka;” it was filed away, forgotten and discovered among his possessions after his death in 1950. But without “Minidoka,” Taliaferro doubts the creator of Tarzan would ever have become a writer. “(‘Minidoka’) survives as proof that his decision in 1911 to write ‘A Princess of Mars,’ his first legitimate novel, was not simply the impulse of a desperate salesman,” Taliaferro writes. 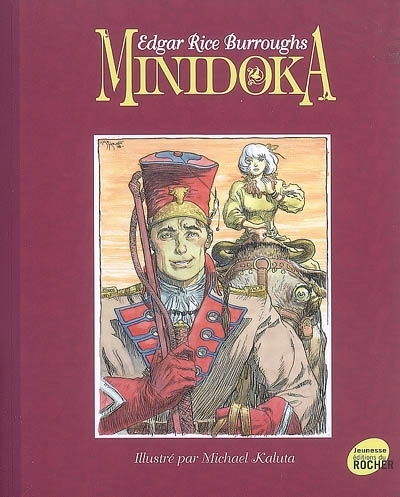 Dark Horse Comics, a Milwaukie, Ore.-based publishing company, released a graphic-novel version of “Minidoka” in 1998.Though out of print, it’s still available on Amazon.com. Rupert’s DeMary Memorial Library and the Twin Falls Public Library each have a copy. "The Wizards of California: Baum & Burroughs"